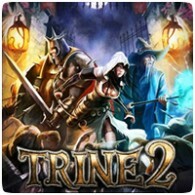 Frozenbyte has revealed that Trine 2: Complete Story will be a PS4 launch title in Europe, releasing on November 29th 2013, but is already available for purchase in North America. Along with the announcement, a new trailer for the game has also been released, showing some of the new skills available in the Complete Story version. New skills include the Knight’s Kitesail Shield and the Thief’s Low Gravity Arrow. There are a total of 20 levels full of adventure, with sceneries ranging from lush forests to a scorching hot desert, to the insides of a gigantic sandworm, and even isles floating in the sky. The game makes use of the touch pad on the DualShock 4 controller to make many elements of the gameplay very intuitive, like drawing boxes or planks with the wizard, and moving them around and interacting with the environment. On the tech side the game runs at beautiful Full HD 1080p resolution at 60 frames per second. It’s also one of the few games at launch with stereoscopic 3D support.